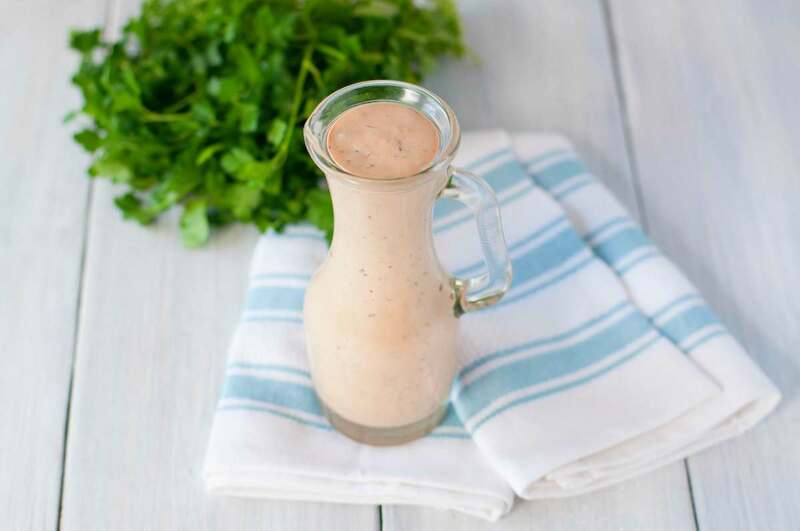 If you aren’t familiar with Russian dressing, then you have likely heard of Thousand Island dressing, and they are very similar in taste. If you have ever had a Reuben sandwich, then you have most likely had Russian dressing. I like it because it is lighter than thousand island and not quite as sweet. 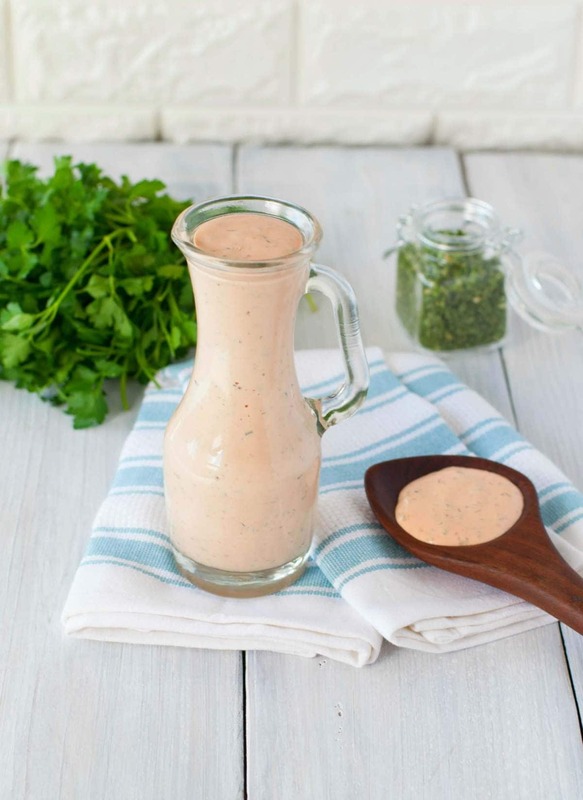 This Keto Russian Dressing makes the perfect dip, sandwich spread, or low carb salad dressing. I even like it on eggs. 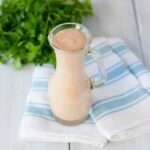 This Keto Russian Dressing is amazing served with my Low Carb Reuben Chopped Salad and also my Reuben Stuffed Sweet Potatoes. Hi Kyndra, I LOVE your blog and Instagram! Can you tell me about how long would you say does this dressing keep in the fridge? Thanks!! Hi I was wondering if I used sugar free ketchup, instead of reduced sugar, should I add sweetener? No. It will be fine. Most sugar-free ketchups are sweetener with either artificial or natural sweetener alternatives.